Wanted to have my first post showing the progress of something. This is gonna be quick since I am soooo behind on my work :[ Here we go though, Via Ready Brew coffee from Starbucks. The idea is everyone can drink it essentially. the copy since I haven't worked on that, only art direction. connected to the front page. Just wanted to post my second concept. The design isn't well worked out, but you basically get the idea. 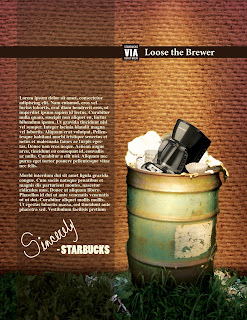 Simply loose the brewer, you're not gonna need it anymore. Thats funny! 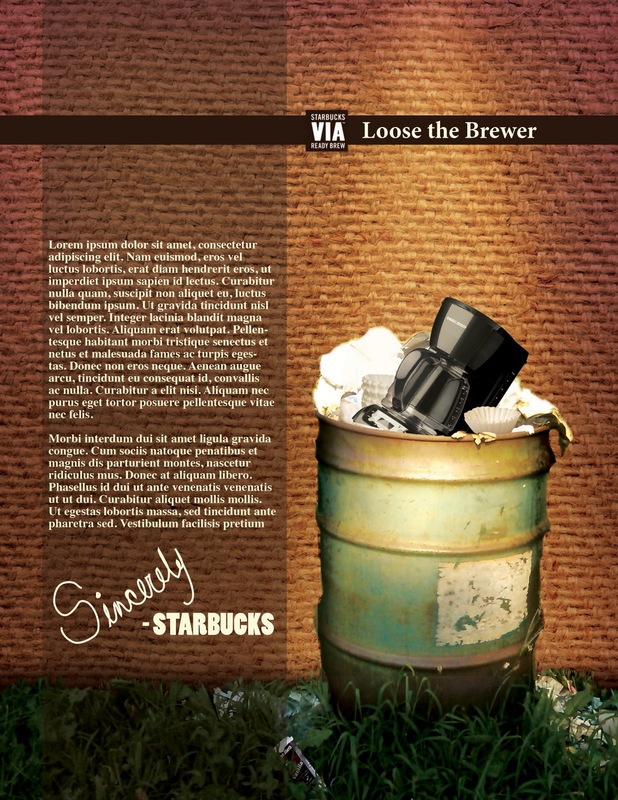 Lose the brewer! Love it , actually both!! !